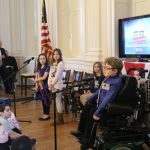 The highly-anticipated Connecticut’s Kid Governor® (CTKG) Inauguration Day event was held at Connecticut’s Old State House on Friday, Jaunary 29, 2016 and was a major success. 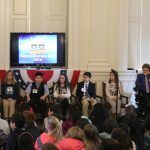 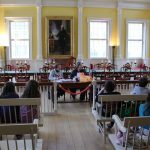 The seven student candidates from the CTKG Statewide Election and nearly 180 of their fellow students and teachers came to the Old State House for a celebration of the candidates and an immersive exploration of the three branches of government. 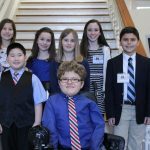 The students were welcomed by staff and volunteers as well as Civics First, the organization that funded bus transportation four four schools to attend. 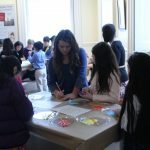 Nearly 40 dignitaries and special guests also attended the event. 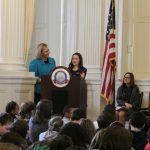 The day’s program included an Inauguration Ceremony during which CTKG Elena Tipton’s East Hartford legislative delegation- Senator Larson, Representation Rojas, Representative Genga, Representative Currey- and Secretary of State Merrill delivered remarks. 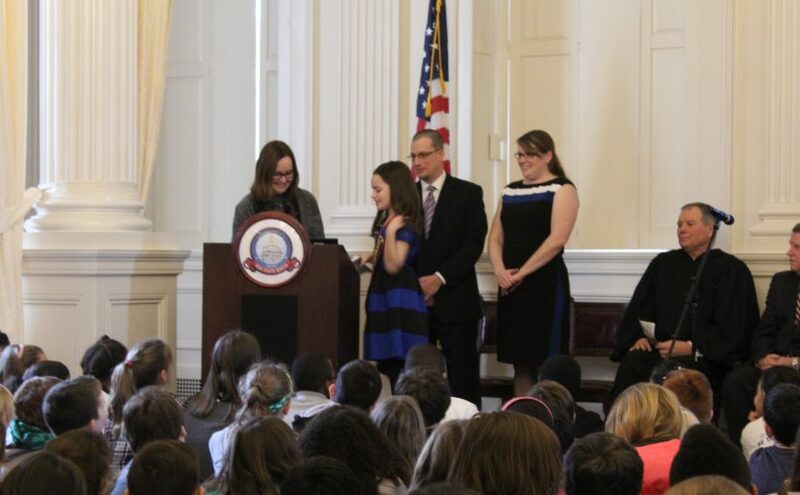 Secretary Merrill also delivered the official Connecticut’s Kid Governor Oath of Office and introduced Elena for her first public speech as CT’s Kid Governor. 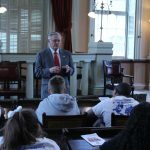 The ceremony was followed by a news conference, students participated in activities throughout the building about the three branches of government: meeting Supreme Court Justice Dennis Eveleigh in the Courtroom to learn about the Judicial Branch, meeting Secretary Merrill in the Comptroller’s Office to learn about the Executive Branch, meeting CTKG Elena in the Governor’s Office for a kindness activity, meeting Rep. Henry Genga and Deputy Secretary James Spallone in the House of Representatives to learn about the Legislative Branch, and participating in a Civics First civics trivia in the Senate. 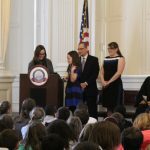 Elena Tipton is sworn in as the first Connecticut’s Kid Governor by Secretary of the State Denise Merrill. 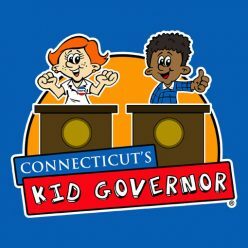 CTKG Elena gives her first public speech following being sworn in as the 2016 Connecticut’s Kid Governor. 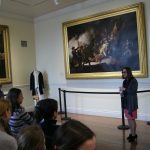 CTKG Elena, Candidate Lilli, and Candidate Hunter answer questions about their campaigns. 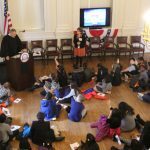 Special thanks to Civics First who financially supported Inauguration Day 2016!